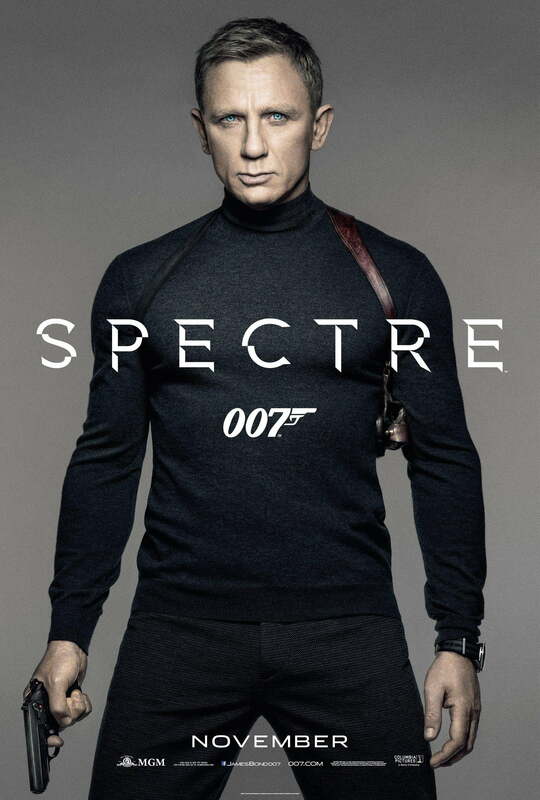 Finally, Daniel Craig gets a proper Bond film. From Casino Royale through to the end of Skyfall, it felt like it was a long, drawn-out (but very entertaining) process to rediscover, rebuild and “reboot” Bond. The classic tropes and traditions had been stripped away and slowly reintroduced, from the catchphrase, theme song through to some of the more iconic characters. Thankfully, Spectre has them all back in place but without changing or compromising what had been built so well in the Craig-era. For starters, Daniel Craig is now a comfortable, cocky and arrogant James Bond. You can see in Craig some of the traits that should feature in all Bonds. He is beginning to add a quip, cracks a smile at inappropriate times and even messes with Ben Whishaw’s Q in a style not unfamiliar to Sean Connery or Pierce Brosnan. It is also the re-established, re-imagined versions of the “Bond Family” that helps add a familiarity but maintain that vein of realism through the movie. Ben Whishaw is a gadget producing Q, and thankfully Bond does have gadgets now, but primarily he is a computer hacker. Naomie Harris’ Moneypenny is still M’s secretary but she is also a past field agent and willing to get involved in the action – as is Ralph Fiennes’ M who is still a stickler for the rules but knows what worth he has in a renegade 00-agent. It’s familiar but remains fresh. That theme runs through the movie. Craig’s Bond drives an Aston Martin but there is a fresh approach to the gadgets and technology used. A high-speed pursuit through the streets of Rome isn’t actually too carnage filled and feels like a much more realistic scene, with some damage and disruption until the usual, “explosive” finale. That sense of realism runs through all the action sequences, of which Spectre has few but they are massive. A downhill snow chase involving a wingless plane, the destruction of a building as a Bond falls through it, one of the most breathtaking helicopter fights you’ll ever see and the biggest on-screen explosion in film history. They are all impressive but never feel ridiculous and just add to that realism. Which brings the tricky case of the movie’s title. Spectre was always a key part of the early Bond franchise and it’s clear that they are an important aspect in this movie. Luckily, as with most of Spectre, the villains are back to the more familiar and recognisable features you’d get in a Bond film. Christopher Waltz’s Oberhauser has a dastardly, world-effecting plan but not a too ridiculous one. We even get a more traditional method of dispatch, with Oberhauser torturing Bond in a style much more reminiscent of Goldfinger and the Connery years. 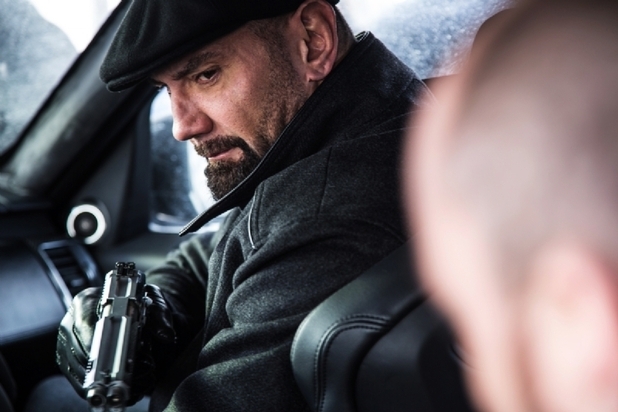 Also in classic Bond style, there is the ruthless henchman, here played brilliantly by WWE and Marvel alumni Dave Bautista. Bautista plays Hinx, who has a great introduction in the movie and puts Bond through his paces in one of the more brutal battles you’ll see on-screen this year, let alone in a Bond movie. Spectre is what you’d hope from a more recent Bond movie: a new, fresh and realistic approach to the spy which also fondly looks back to what has gone before. Spectre manages to deliver what would be considered traditional Bond while still maintaining the quality it has developed over three previous Craig movies. To effectively and somewhat unbelievably tie these movies together as one coherent story is quite impressive too. 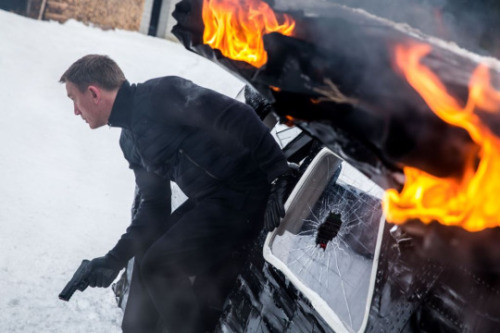 Overall, Spectre has everything you’d want from a Bond movie. Craig is playing a much more familiar, classic version of the spy, the original “Bond Family offer support and the action sequences are as amazing as they should be. Add to this a great villain and a brutish henchman and you have one of the more realistic, fresh but traditional movies in the Bond series. What an amazing review. I like the sound of the formula being followed again and the harking back to the classics in the Bond movies. God I’m so excited to see this on Monday. It’s worth the wait! Hope you enjoy it. I’ve heard a lot of praise for the Bond ladies in this one, what did you think? They have a better part to play in this movie in the last two. They are much more than just damsel-in-distress types but I doubt will be the most memorable. I was going to go into more detail but my review was running over 600 words which is usually my intended limit! Good to hear as I love both of the actresses, especially Bellucci. I really enjoyed it and after Craig taking it so far away from what I think Bond should be, Spectre seems to bring it all back – but very well! I didn’t like it as much and didn’t like the fact they went back to some of the classic Bond things like the gadgets, unrealistic and slightly ridiculous moments (like with the plane) and I found it not that exciting. Saw it the other day and loved it. I did a review that you should check out. I wasn’t expecting another Skyfall, but after that went out on a limb to be bold and independent I thought it a shame that this one felt the need to cast a shadow over the last three movies, tying them together and rendering Quantum (which was clearly meant to be a modern Spectre) pretty much obsolete. I think Spectre will be a question of whether or not people prefer post-reboot (and Bourne) Bond, or have been longing for the ‘Classic’ elements – which could be seen as dated. Some of the stuff in here was a bit too ‘Austin Powersy’ for me. That surprises me. I thought this struck the perfect balance between the new “post-Bourne” Bond and the originals. We had a slicker but more modern take on some of the classic tropes. I didn’t think anything was quite as bad as Austin Powers, or even *shudder* Roger Moore! I’m glad you enjoyed it too. Thought I saw a different movie from folks who hated it. Definitely was more a classic old school Bond, which had been lacking during Craig’s tenure. I agree with it like 90%. Like you said it has the old and new Bond vibe perfectly put together. It has the realistic feel of the previous Craig flicks mixed up with elements of the old formula. These two details made the producers get into the corner on what to do next ? What will they do with Madeline and Blofeld if Craig leaves the franchise? Everyone will be wondering so. That mix of old and new was a great positive for the film. I’m not sure you ever have to worry about the lasting effects of how they leave a Bond film. They have a tendency to reset themselves anyway and if Madeleine never gets mentioned again, most Bond fans seem happy with that. Previous Previous post: Month of Bond: Who is the Best James Bond? Next Next post: Month of Bond: Ranking every Bond film!